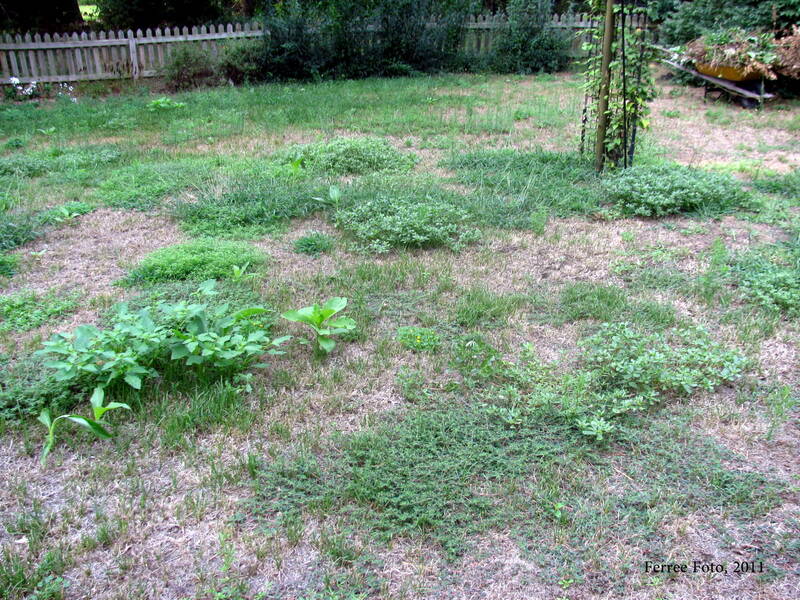 The best time to seed a new lawn or overseed an existing lawn is in late summer. In Central Illinois, seeding in late summer (August to September) has a much higher success rate than seeding in spring. "Warm days and cool nights combined with more regular rainfall are ideal conditions for seedling growth," explains Rhonda Ferree, Horticulture Educator with University of Illinois Extension. "Also, there is less weed competition at this time of year." The first step in seeding a lawn is to preparing the seedbed. A well-prepared seedbed is essential for rapid, successful establishment of a lawn. Start by removing all debris from the lawn area, including large rocks, gravel, building materials, and roofing. Do not bury debris because it can interfere with water movement. If needed, add soil amendments to the area. These might include organic matter, topsoil or pH adjusters such as lime or sulfur (based on soil tests). Spread organic matter or topsoil to a minimum of 2 to 3 inches over the area and rototill the site. Rake the area smooth, again removing any debris that may have surfaced during rototilling. 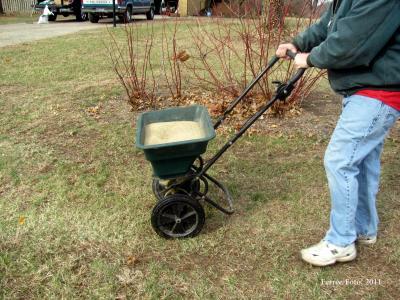 If you are overseeding an existing lawn, rake the area by hand or with a vertical mower to remove old plant debris. You can then topdress with soil amendments, if needed. Broadcast a starter fertilizer at a rate of one pound of actual nitrogen per 1000 square feet. Apply uniformly over the entire area. Rake lightly to incorporate the fertilizer into the soil. Second, choose a quality seed for your lawn. Ferree says that this is particularly important if you had problems with turfgrass disease in the past. Select a grass seed mixture with resistance to various diseases. This is often more expensive, but paying more up front will save you time and money in the future. Spread the seed in two directions, dividing the seed into equal portions. This insures uniform seed distribution. Lightly rake the seed into the soil and firm or roll the entire area. This is for good seed to soil contact. Third, water the new seed with rain, irrigation, or manual sprinklers. 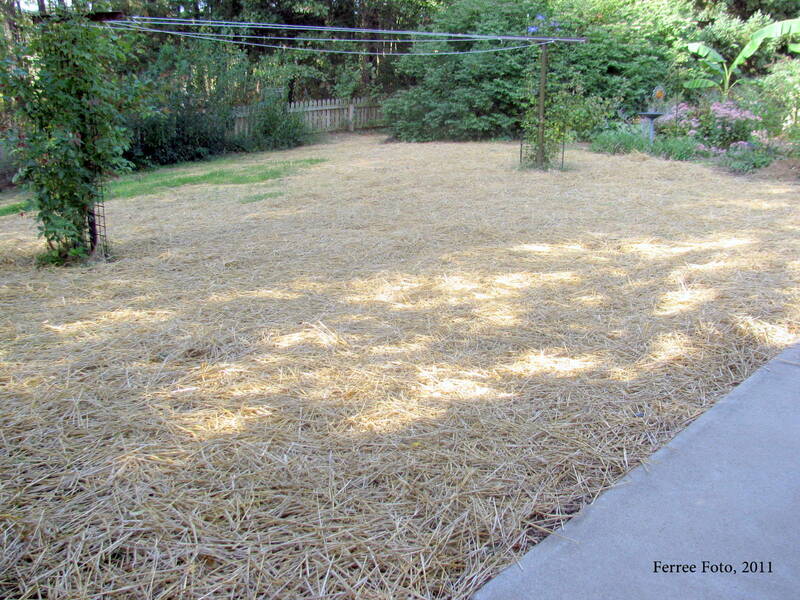 Mulching with a light layer of straw is not necessary but it does help keep the seed moist. Seeds absorb and hold moisture reaching a point where they burst open. Dry periods can cause reduced germination rates and seedling growth. Therefore, you must keep the seed and young seedlings moist. Light watering two times a day if not supplied by rainfall should be sufficient, but every spot is different so check the area often. Finally, start mowing with a sharp mower blade when the grass is between 2 to 3 inches high. Mow regularly and often. If needed, you can lightly rake off the mulch but do so when the soil is on the dry side so you don't pull the young seedlings out of the soil. 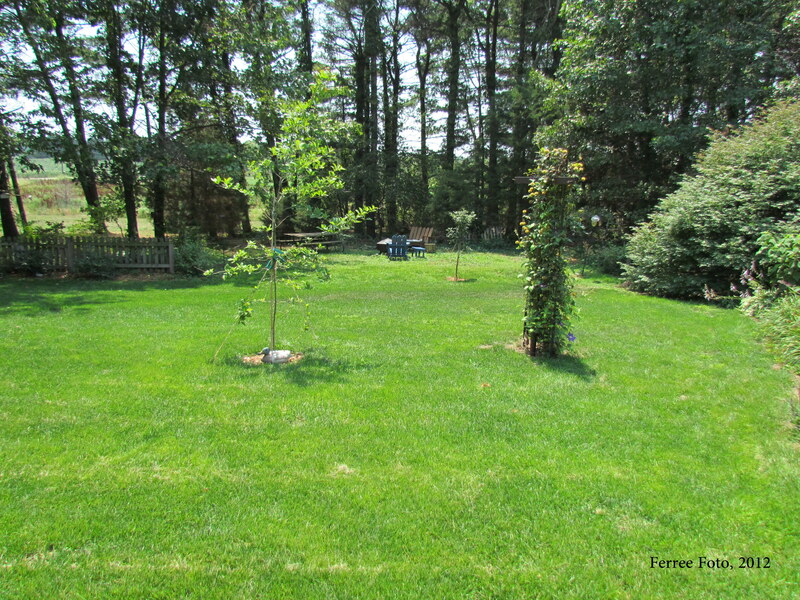 For more lawn care information, including recommended grass cultivars, go to http://urbanext.illinois.edu/lawntalk/. You can also post questions on Rhonda's facebook page at www.facebook.com/ferree.horticulture.